The CompTIA continuing education unit (CEU) program is sometimes a mystery for people new to certifications. However, they are required in many different fields to ensure people keep up-to-date with current knowledge. As an example, medical professionals are required to earn a minimum number of CEUs periodically. It’s a good thing too. You wouldn’t want your doctor treating you with only the knowledge he had from ten years ago. Similarly, employers want to have some level of assurance that your certification includes current knowledge. Here are a few frequently asked questions (FAQs) and answers. 1) Hover over Account Links and select Reset Password. 2) Enter your email address in the Username or E-mail text box. 3) Prove you are a human and answer the simple math question. 4) Click Get New Password. How do I start the Mastering Security Basics course? You can also access this from the home page. Hover over the Account Links menu and select Log In. Enter the captcha value to prove you’re a human. Click on the Mastering Security Concepts link. Click on the Introduction to Core Security Goals link. Note that this course must be done in order. Later Modules and Units won’t be accessible until you complete earlier Modules and Units. How do I submit CEUs? The steps are slightly different depending on the type of CEUs you’re submitting. The following steps are used to submit documentation for CEUs related to a training course such as Mastering Security Basics. Log on to your CompTIA account here. Note: I cannot help you create or modify your CompTIA account. If you need help with your CompTIA account, you need to contact CompTIA. Review the Program Details for your certification(s). Click on Continuing Education Units. Select the desired “Intended path” such as Security+ and click Submit. Follow the instructions ensuring you upload a digital copy of the certificate. The number of required CEUs vary by certification. The following table shows the number of CEUs required for renewal for several CompTIA certifications. How long can I take to finish a course? You can take as long as you want to complete any course. However, if your account is inactive for six months or more, it might be deleted. How can I reduce the size of the certificate? Is there a cost related to the CEU program? Yes. The costs vary by certification. You can view a listing of the costs here. What are some qualifying activities for CEUs? 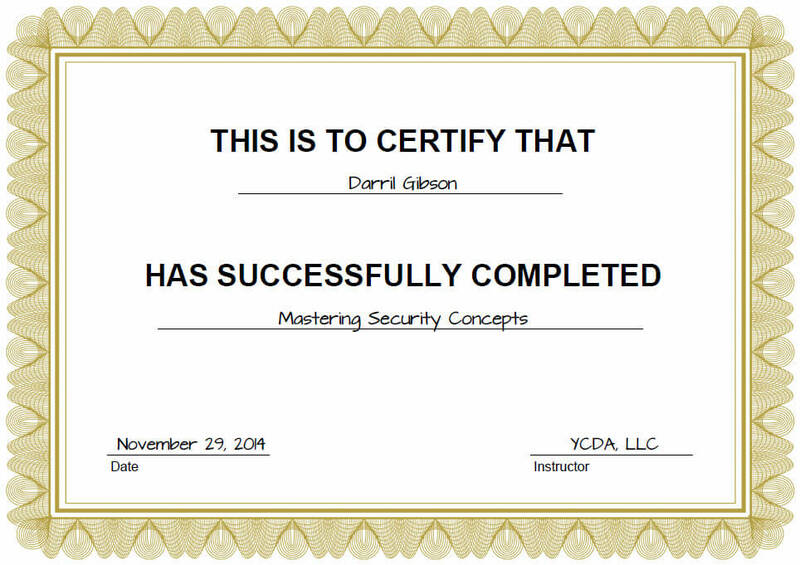 * The Mastering Security Basics course on this site is an example training course. If you complete it, you earn three CEUs for A+, Network+, or Security+ certifications. Where else can I find methods of earning CEUs? Pick the easiest method that works for you. Then do some Google searches on relevant terms to identify methods that appeal to you. What’s the easiest way to renew a certification? The easiest way is to pass a higher level certification. This automatically renews the lower level certification. For example, if you have the A+ or the Network+ certification, you can renew it by earning the Security+ certification. You can also renew a certification by earning specific non-CompTIA certifications. Check out these links for more details. How long do I have to complete CompTIA CEUs? You have three years to complete CompTIA CEUs. What is required to submit CEUs for Training Course? Both of these are provided when you complete approved online training courses such as the Mastering Security Basics course. 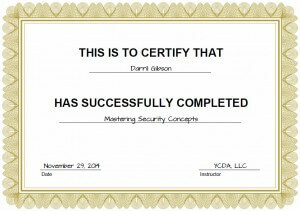 Here’s an example certificate that you would get after completing the Mastering Security Basics course. Where can I get definitive answers for unclear CEU topics? Note: CompTIA modifies and changes these links periodically. If you see a broken link, please let me know.